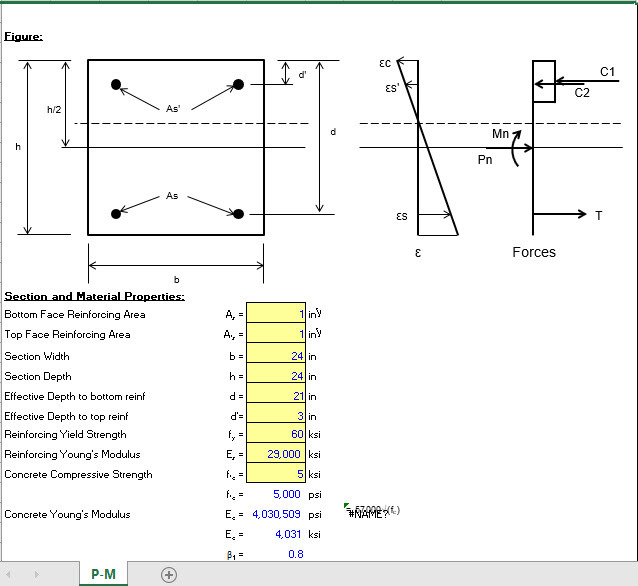 Beam column design spreadsheet evaluates concrete members carrying both flexure and axial load using thrust-moment, or P-M, interaction diagrams generated per ACI 318 and ACI 350. 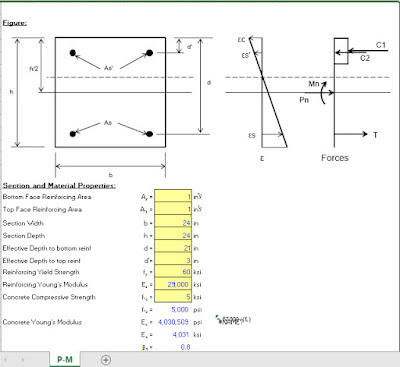 Standard axial/flexural provisions, Ch 10, are considered. ACI 350 durability factor is used to factor down the flexural and axial capacities instead of factoring up the factored loads. The end result is an "inner curve" that governs for ACI 350 capacity in the tension-controlled and transition zones. -XLC formulae and peer review provide verification of intended functionality.